“Our annual XPO event brings together over 200 of our very valued clients and guests. Expectations are high as the attendees make a considerable commitment of energy and resources to attend our event and entrust us to deliver a world class experience. Simon was magic. He was able to deliver a message to our tribe that combined his gold medal winning experience with real life humility. Simon’s delivery was exemplary, unscripted and heartfelt. The audience left feeling inspired, excited and motivated. Simon has since maintained a great relationship with our company and has made himself available for follow ups. I would recommend Simon to any organization that was interested in a world class presentation that blends epic human achievement with authenticity and relatable humility. Simon Whiftield. You may know him as an Olympic Champion. Or as Flag Bearer (for Canada) at the 2012 London Games. I know him differently. I know him as a passionate advocate for across-the-board healthy living. Simon has been an ambassador for the Toronto Triathlon Festival since its inception 8 years ago and we have seen him move from the Olympic carousel, as it were, to life after sports. And, he has negotiated this sometimes difficult transition with aplomb. Simon has contributed in a myriad of ways to our race platform. Whether it’s engaging with our athletes & volunteers, speaking on panels, visiting media outlets or addressing our corporate partners in more intimate, business-like settings, Simon is always more than up for the task. And he does it all with a collegiality and empathetic warmth that only further endears him to those who already love him. 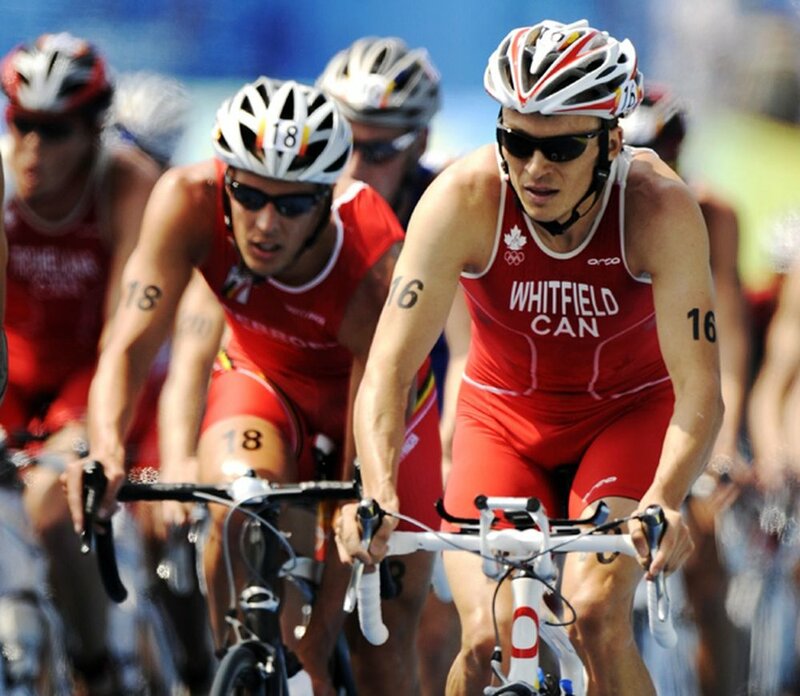 Simon Whitfield is a creative, thoughtful and intelligent class act. I wanted to reach out and express my deep gratitude for the time you shared with our forum. The paddle boarding was so fun and expansive for everyone - you are so right - it is such a healthy amazing sport - I can see why you love it so much. Our forum was blown away with your candor, depth, and willingness to share deeply at Spinnakers. It’s rare to meet someone like you - but even rarer to have an opportunity to go deep into vulnerable places as well. It really was exactly what we were hoping for. The insights that impacted me were many - but hearing about your strategy (narrative) for 2008 really impressed. The relationship between fiction reading, sport performance, imagination, and creating vivid winning narratives really struck a chord with me. It was a privilege to hear you share the challenges of life after sport, your proud moments, your regrets, your divorce, and your pain. I could relate to many of these. “to be welcome” - wow - to share that personal writing with us was incredible. I felt your pain. I too know what it’s like to feel uninvited. It’s happened a couple times in my life - my heart crushed - to go from “invited” to uninvited is devastating and confusing. We talked about that afterwards and the entire forum wants you to know that you are always “invited” with us. We would love to see you again - under any circumstance. You really have unique perspectives that so many would appreciate learning about. I sincerely hope you write a book about your athletic career, mindset, fiction reading, narrative creation, visualization, strategies, successes, failures, regrets, challenges, and even your “manufactured noble exit!” It’s rare to meet someone as self aware, authentic, humble, and intellectual as you. It’s obvious to everyone that you are living your values. On behalf of Forum 7, thank you so much Simon - you have made a huge difference in our lives. I’m reluctant to use the word “inspirational” given how many times you are likely to have heard it in your life and I hope the compliment isn’t devalued through overuse. I remember the day I watched your race in Beijing and it may be one of the few times I’ve ever cheered on a gritty performance out loud to a television set. However after meeting you in person, I wish there was a heightened word for inspiration that I could apply as you were brave enough to share your depth of character, your depth of reflection & insight and your depth of personal pain. It’s very rare for me to come across someone who shares so many thoughts and philosophies so similar to mine – and in such a profound way. As the most recent invitee/addition to our EO forum, I’ve been privileged to have been added to a very special group of people who got there by not only being very smart and successful but also through being insightful, caring, supportive and introspective. You’ve “dragged the cat home by its tail” and been blessed with the ability to convey a message that many (including myself) have gone through, but describe it in such a meaningful way. “Invited” may have been the perfect title for the composition you read to us at dinner as I’d love for the opportunity to invite you to connect again to share and reflect more with you. Whether individually, or with our entire forum group, I’d welcome your presence anytime. Thanks again for joining us and sharing. Thanks again for making a difference. “Nimmo Bay Wilderness Resort has had the pleasure to collaborate with South Island Sup on a few separate occasions and we continue to do so based on the level of enthusiasm, safety, creativity and care that Simon brings both to our business values and our clients needs. Simon has a way of inspiring reflection and fostering a sense of wonder that echos the natural setting of the BC coast perfectly this lends to an overall enhanced guest experience. Becky Murray, C.O.O. Nimmo Bay Resort. "I have gone stand-up paddleboarding in a lot of incredible places, with a lot of incredible people, but my time on the water at the Nimmo Bay Wilderness Resort with Simon Whitfield was one of the most amazing — and memorable — experiences of my life. Simon is a knowledgeable SUP guide and accomplished paddler who can help anybody new to the sport navigate the dynamic conditions of British Columbia’s Great Bear Rainforest, or help experienced paddlers like me improve our form and technique. He’s also a hell of a lot of fun to hang out with, whether you’re surfing ocean swells, exploring slot canyons, bumping through tidal rapids or sipping beers in a floating sauna. His love for paddleboarding, both the exertion and the more meditative aspects of SUP, is contagious. After decades of competing as an athlete at the highest international level, which honed not only his physical abilities but also his leadership and motivational skills, he is uniquely positioned to help others discover or deepen their obsession with paddleboarding in one of the best places on the planet for SUP." Simon is Aces. I could never imagine spending a day with friends and family paddling around BC’s most epic scenery being lead by a Gold Medalist. The level of intelligence, professionalism, wrapped in an indomitable reputation make him world class all around. He plays life like a pro and its just awesome to join him for a day. 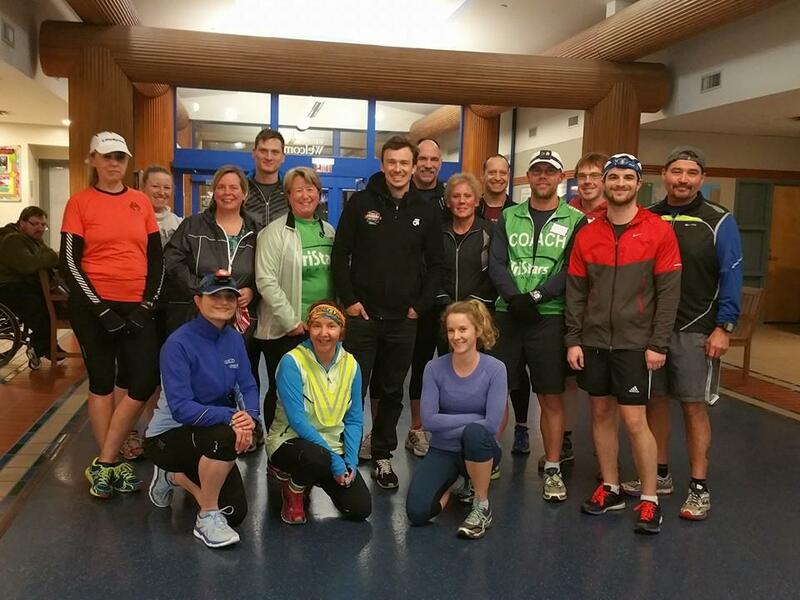 “My name is Amy , I was a recent participant in Repsol Centre's Triathlon Clinic with Simon Whitfield. I'm fairly new to the sport, in fact my very first tri event was the 10 Mile Tri at Repsol in Feb 2018. I fell instantly in love with the sport and community since that day and committed myself fully for the year - competing 2 Olympic distance events and 3 smaller sprint distances here in Calgary throughout the year. My goals for 2019 are to compete in 3 Ironman 70.3 events, the ITU Edmonton Olympic distance race and hopefully earn myself a spot at Worlds in either France or Switzerland. I know I've got my work cut out for me as my age group is very competitive and the athletes I'll race with have been in the sport for much longer than I. These goals led to my interest in joining 3433 Sports Performance Centre and taking part in the Clinic with Simon Whitfield. At first I was a bit nervous to take part as I was unsure of what I was getting myself into - how hard was this Olympic athlete going to push us?! The day started of at the pool side with a great warm up to get us all ready for the day. I was impressed with how many athletes came out for the event. We did some drills in the lanes to work on our form and technique before heading to a open water simulation. It was a harsh reminder of the stress of rounding the marks on race days! So much chaos but good to practice. The biggest learning from this portion of the day was some thing that coach Bart was repeating: "Get comfortable being uncomfortable" That sums up the swim portion of each race for me perfectly. UNCOMFORTABLE. This simply means I need to spent more time in the water, more time doing drills and facing those fears. Next up we had an amazing Q&A forum with Simon where he talked about his history as an athlete and Olympian. What an inspiration! We had lots of time to ask questions and I know we all walked away with a tonne of information to use in our training and races. Simon was super easy to talk to, very approachable and down to earth. The statement from him that stuck out for me the most was "You have to earn those miles". So true. Great races and podium finishes don't come easy. You need to commit yourself to your craft fully, earn the miles to get the results you seek. EAT, SLEEP, TRAIN, REPEAT! Focus your energy and don't let anything get in your way. Lastly, we had a couple hours for running drills in the gym and on the track. We focused on holding pace, running form and how to increase your speed. All the 3433 coaches were there to help us with and were great for sharing feedback on adjustments to form and technique. We learned about patience and how to keep you focus mentally when you are getting tired and sore. The most helpful tip from Simon in this session was to remember to always come back to your breath. Deep, slow, belly breathing will get you through more that you can imagine. This was a technique I used in my last race when I got a terrible cramp but was able to remember Simon's advice and breath through it. Over all it was a pretty epic day! I made some new friends, connected with the coaches and took away an incredible amount of knowledge. I am confident that this clinic will help me achieve my goals for 2019. Big thanks to Simon and 3433 Team for putting on this amazing event!! Let's do it again soon. Thank you 3433 for offering another motivational meeting and event with the Olympic gold medalist Simon Whitfield. In race/training sessions always return to form and breath. When there is a collapse in the system and you are starting to break down return to an Introspective analysis of your breath and basic form. Refocus the direction and return you to your race.